Te he he. Faster than 96% of Australia. 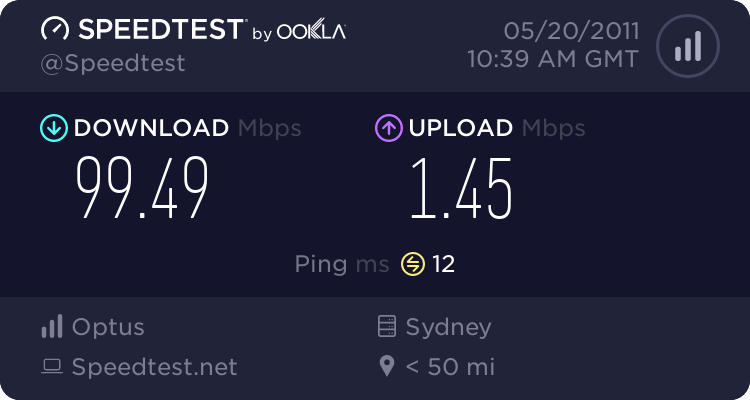 meh.. i'd be happy if ISPs would bump up the upload speeds. I have to agree. Having a more symmetric up / down rate would be preferable.